When putting together a list of features you would like to have in a future home, you need to take the needs of any pets into account as well. More and more people are doing this, actually, and pets now outrank both marriage and kids as a reason why young people are beginning to buy houses. So with pets becoming a more important factor in buying a home, what features in a house should a pet owner be looking for? This is of particular importance if you are planning to set aside some space or even a room that's completely dedicated to your pet. Pet suites, for example, are becoming a more desired and offered feature in new home builds. But you might need to just look for something as simple as a good place to put a birdcage, because birds are very sensitive to both direct sunlight and drafts, and need the social interaction of being around people. 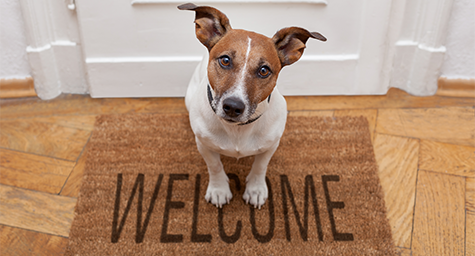 When working with a real estate agency like RE/MAX Integrity to find a new home, be sure to tell them about your pet's needs so they can find a suitable property. Most dog owners, especially if they live in a populated area, are best served by having a fenced-in yard for their pet. This allows the dog to roam, explore and get good exercise while still remaining safe from hazards. If a home already has a fence, make sure that fence is secure and the spacing between posts is adequate so your dog cannot get out. The topography of the yard is also important because a particularly steep yard wouldn't be good for an older dog. The location of the new home is nearly as important for pets as it is for people. For example, are there good vets nearby? If you have pets that are classified as exotic, such as birds or rabbits, this is an even more important consideration because not all vets see them. Are your pets used to certain brands of food that can be bought at specialty pet stores nearby? What about things like dog parks and other amenities for pets? All of these factors should be taken into account. For many of us, our pets are our babies and we want them to be as comfortable in a new home as possible. There are potential hazards about a home to look out for too, such as traffic, toxic plants and potential contact with wild animals from adjacent undeveloped areas. By taking pet-friendly features into account, your pet will have a much happier environment in which to live.